Do you know someone who goes above and beyond to protect the environment? 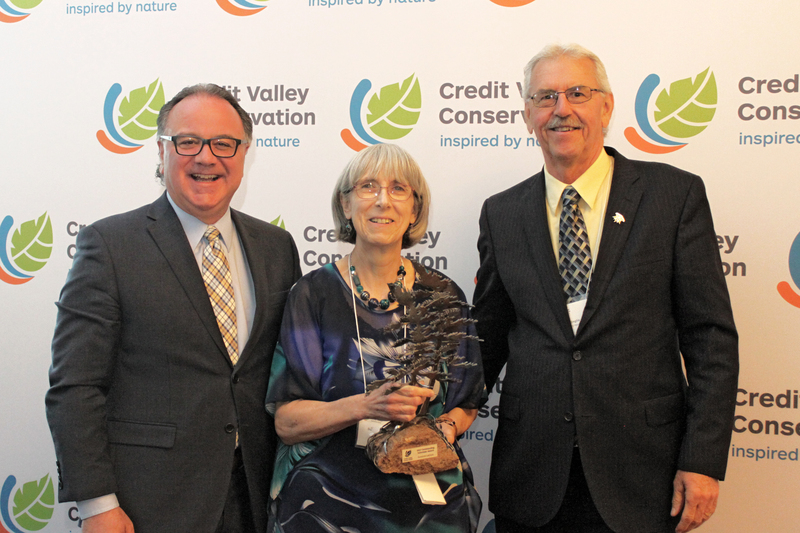 Credit Valley Conservation (CVC) is now seeking nominations for their annual Friends of the Credit Conservation Awards. The Awards honour local environmental champions who deserve recognition for their hard work to protect, connect and sustain the natural environment. The Conservation Awards program, established more than 30 years ago recognizes partners and community leaders that contribute to meaningful environmental work across the Credit River Watershed. CVC is calling on the community to nominate environmental champions by November 25, 2018. Nominees can be schools, community groups, landowners, businesses and individuals who are inspired to protect nature for future generations. The nomination process is open until November 25, 2018 and submissions can be completed online through CVC’s website. The CVC Board of Directors reviews all nominations and makes the final award selection. The awards program was established in 1986. It is an opportunity for the CVC Board of Directors to recognize those doing important and meaningful environmental work in the community. New awards categories were launched in 2017 to align with CVC’s updated brand identity. For more information about the awards program, including award descriptions and eligibility, visit cvc.ca/conservationawards.